Excitation bands are centered at 389 and 530nm. Emission includes 460nm band and 570nm longpass performance. 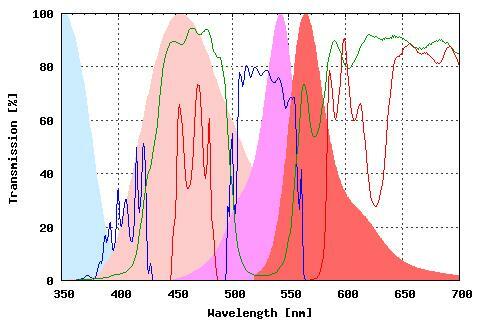 Absorption and emission spectra is for HOECHST 3258 and Rhodamine B fluorochromes.